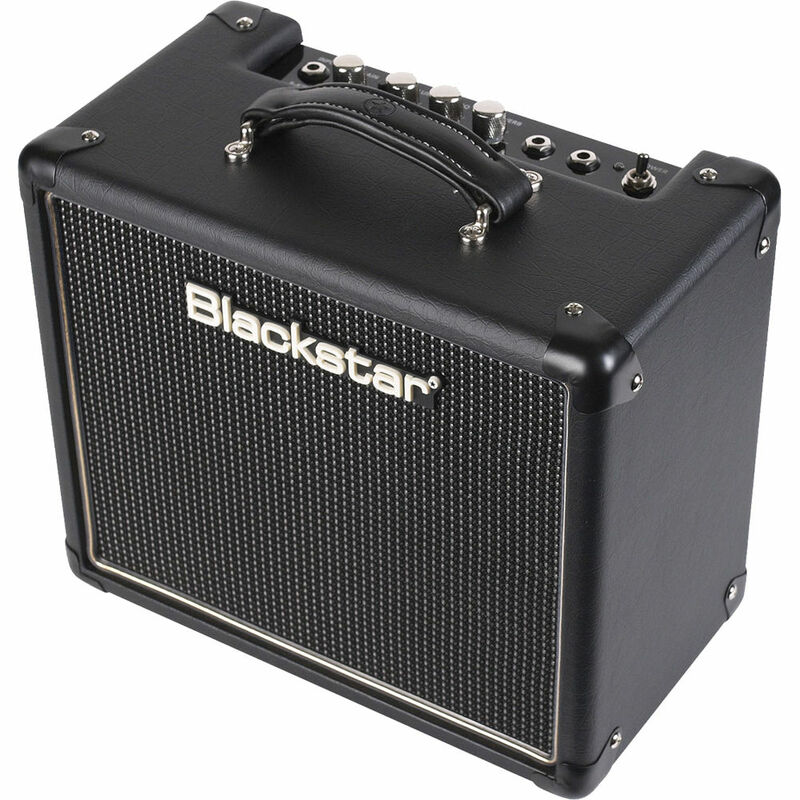 tchibeck's review"Easy to use and awfully good"
- What styles of music do you intend to play with this amp? - Given its weight and output power, do you think it's good enough to work, rehearse and play live? I don't know, I only use it in my room. It's perfect for home use. 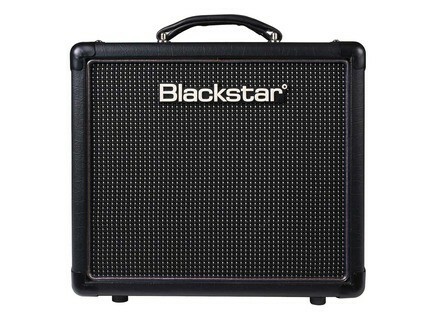 When I sell a guitar (I have sold several ones in recent times, to cure my addiction to collecting them) I'm always VERY surprised by the fact that potential buyers, those who come to my place to test the guitars, having the choice of a Mesa Boogie LoneStar and a Mesa Boogie Mini Rectifier, always choose to try them with my small Blackstar HT1R... No doubt this amp has its charm. As for me, I play at 3 in the morning at home with a single-coil Gibson Victory, overdrive channel, gain at 6, Volume at 2, ISF at 7, Reverb at 4, guitar volume control at 3. I live in a big place and I don't think I can bother anyone, but my wife says she can hear me. - Do the clean, crunch and distortion sounds suit you? Are the controls effective? I think it's perfect for everything, from clean to hard rock. Do note however, that there's a huge volume difference (SPL) when going from the clean channel to the overdrive, which is quite normal. During the day, with the gain and volume cranked up, the clean channel can deliver a nice overdrive all right. (No driving it too hard at night...). During the day I connect it to the 2 x 12 cab of my Laney 20, and it really rocks you off your feet. Why spend more money when you can get such quality for so little? The controls are incredibly effective and the reverb is discreet, which I love. - What are the things that you like most and least about it? To be honest, for the price, I can't complain. 1 watt! But what a watt! If Blackstar reads this (we are allowed to dream, aren't we? ), I'd ask them to do the same with a 12" speaker. 1 watt, nothing more. You can take the specs from previous reviews. 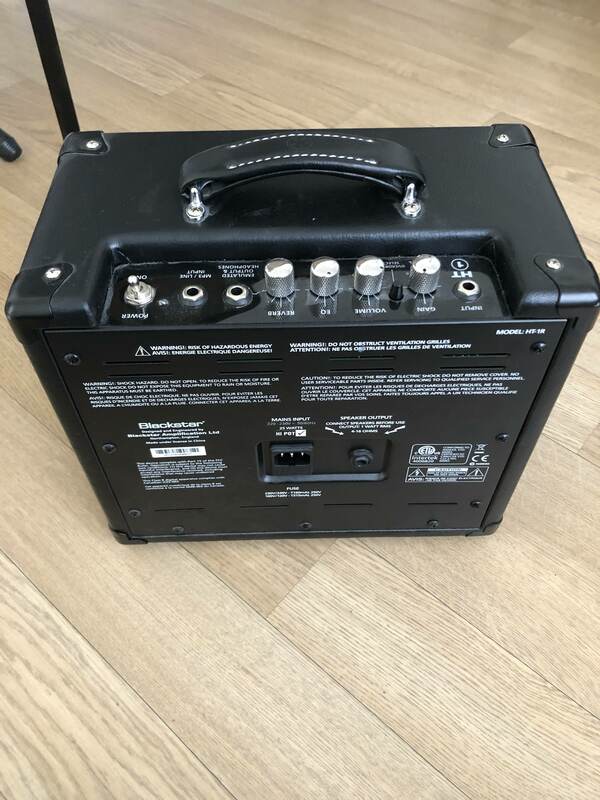 Reverb (nice) gain, vol, isf, 1 watt. Very easy to use and effective. As a metalhead, I don't use the drive mode. The ISF is not bad, I always have it set to 9 o'clock. I connect a 212 celestion speaker and I get credible lows (palm mutes) and a nice width. Bluesy sounds are great with the Strat and the Fernandes rocks you off your feet! I've been using it for 5 months, I had a Valve junior and a tiny terror, I chose the HT1R because it seems to have been made for me and it's pretty versatile. No defects, except for a finer EQ and only one type of reverb. It's worth its price and it's super tiny and cute. I love it. If you don't have this amp for home, you are an ignorant. gongongon's review"Very good for home use"
I have been playing classic rock/blues for quite a few years with different guitars: An '80s Epiphone Les Paul, a Fender Stratocaster USA and a custom-made Les Paul with Benedetti (a pickup, in case you don't know). The clean sound is truly good as long as you stay at reasonable levels. It's way better than many simulation amps. There's no comparison. As soon as you drive it too much, the 1W reach their limit and surpasses the capabilities of the 8-incher, so you'd better stay at reasonable levels: It was conceived for that. I tested it with a 12" speaker and the sound is warmer, but don't get your hopes high, it's still only 1W. Other than that, the amp respects the nuances of the guitars and you can find a nice crunch without fatiguing your ears. The Overdrive channel is pretty good. With a good pair of headphones, the speaker simulation is really VERY nice. With this one I get 1W while still enjoying a quality sound and without the need to use cans. I tested quite a few ones (junior, valbee,...) and I don't regret my purchase. What's more, you can jam with acoustic instruments without masking them. It's exactly what I was looking for. On the other hand, it can't be heard when playing with drums, unless you crank it all the way up, in which case the sound gets dirty. I am in love with this little amp. I small compact tube amp that gets 1 watt of power and will drive a solid tube tone from your guitar and fingers is where its at. The tone from this little thing was very impressive. It is voiced for the American and British tones. It doesn't have a tone of controls. Just gain, volume, eq, and reverb. It also has a output for headphones and a MP3 line input so you can jam along with your favorite songs. 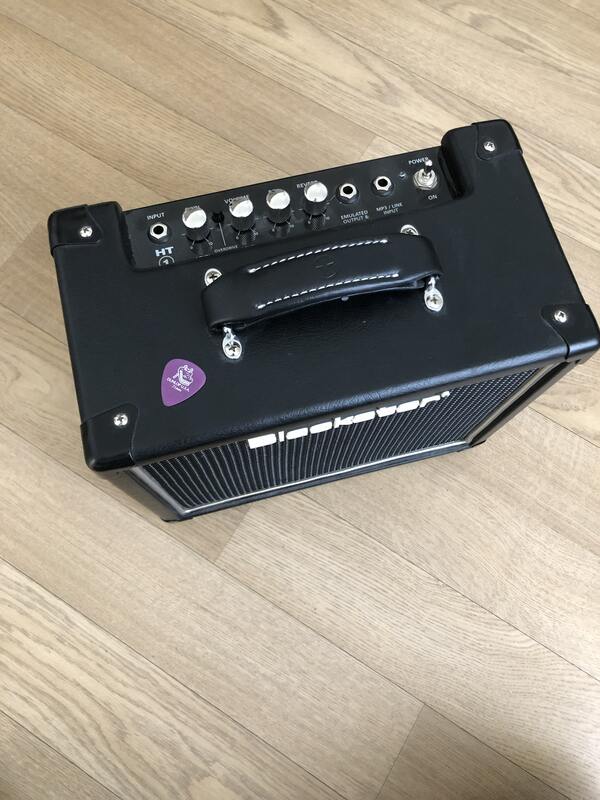 Just a great little practice amp! I love the tone of this unit. I natural tube sound and feel in an amp that will fit in your bag or purse. I like the ton you get from this amp with a Strat or even a Gibson Les Paul. You will feel more gerth with the tone of the Les Paul and the Strat will be nice and chimey. The amp really works the tubes very hard and produces a very musical tone. What a great tool to keep in your gear arsenal. 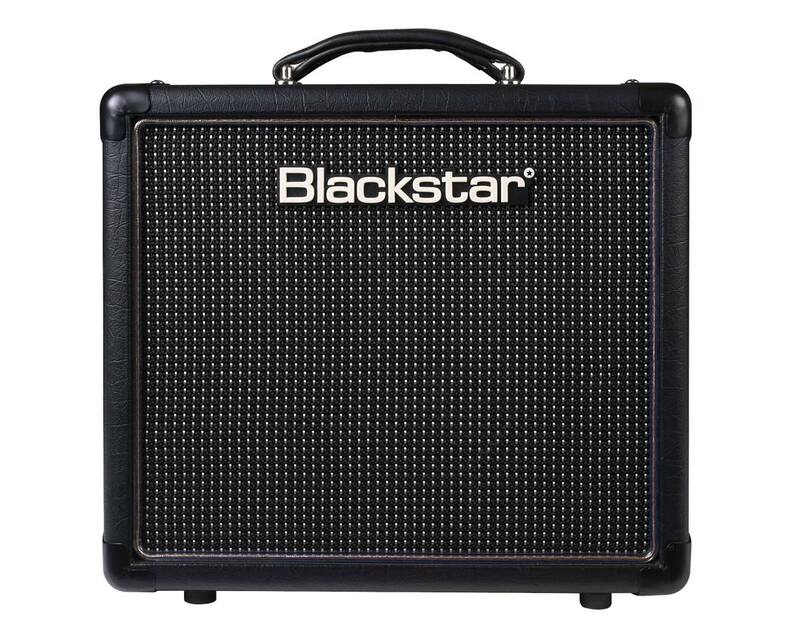 If you need a quiet rehearsal amp that can be used very quietly in a bedroom or office this is the one. If you don't like amp modelers and need that tube feel and tone than this is the amp for you. At new these units come in at around $300 which is a great price for a tube amp. 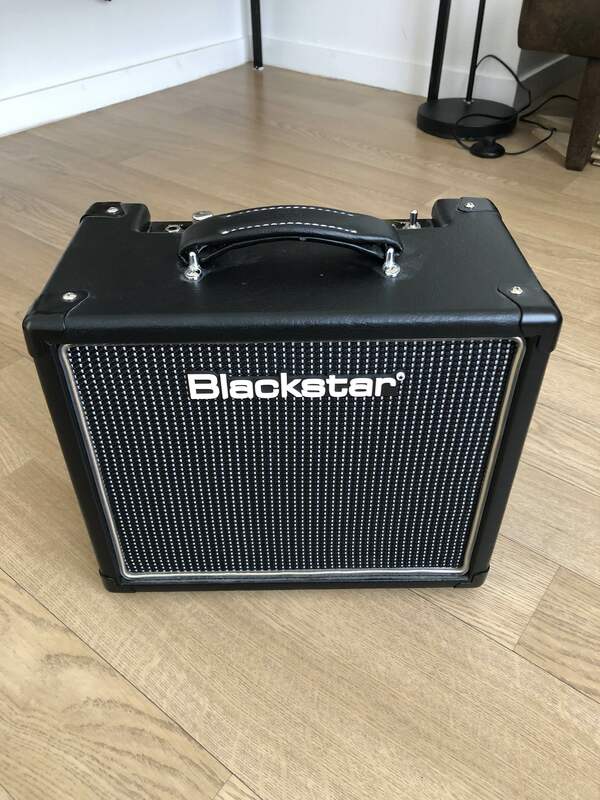 I would recommend this amp to anyone who needs a solid practice amp and wants the tubes in there. You can plug you iopd in there and be ready to jam along.